After wanting to buy Mac Whirl lip liner for months now. I finally managed to find it and decided it was about time I purchased it. Whirl has been popular ever since Kylie Jenner claimed to use it and ever since then it's been sold out everytime I've looked. 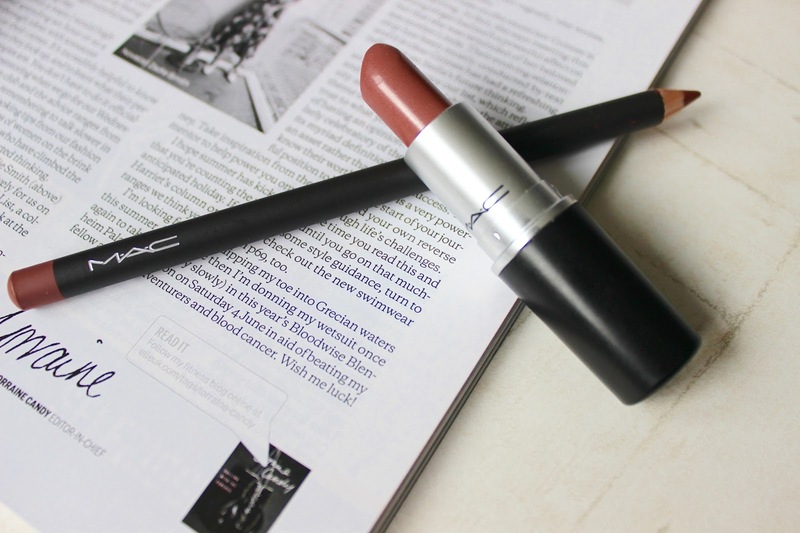 Its a pretty dusty pink/ brown shade that can be used with quite a few of the Mac lipsticks. I've been pairing it with midi mauve and I love the combination together, it definitely makes your lips look a lot more defined. It has amazing pigmentation and is very long lasting and makes my lipstick last longer than when I use it on its own. Although I do find this particular lip liner to be quite drying in comparison to others that I've tried, this doesn't make me love it any less! Next on my list is the lip liner in the shade soar to match my brave lipstick. Whirl is on my list to buy, looks gorgeous! I use Brave and Soar all the time, I love them! Maybe Whirl will be next on my list.